Poor sleep can do more than just make us feel groggy in the morning. A new study suggests it can significantly increase our risk of heart attack and stroke, prompting researchers to call for it to be considered as a risk factor for cardiovascular disease in prevention guidelines for the condition. In the study, men who had a sleeping disorder were found to be at much higher risk of heart attack and stroke. It is estimated that around 50-70 million people in the US have some form of sleep disorder, which research is increasingly finding can severely impact health and well-being. For this study, Prof. Valery Gafarov, of the Russian Academy of Medical Sciences in Novosibirsk, Russia, and colleagues wanted to determine whether poor sleep may be tied to risk of heart attack and stroke, which cause almost 80% of all deaths from cardiovascular disease. 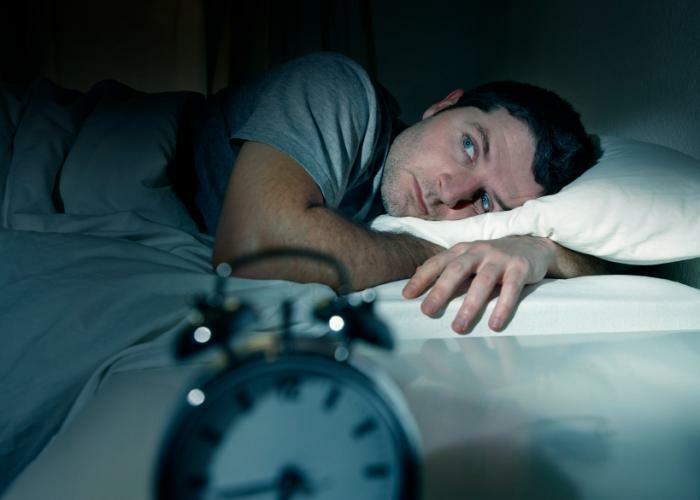 "Sleep disorders are very closely related to the presence of cardiovascular diseases," notes Prof. Gafarov. "However, until now there has not been a population-based cohort study examining the impact of sleep disorders on the development of a heart attack or stroke." The team recently presented their findings at EuroHeartCare 2015 - the annual conference of the European Society of Cardiology. The team's study was a part of the World Health Organization's (WHO) Multinational Monitoring of Trends and Determinants in Cardiovascular Disease (MONICA) program and the "MONICA-psychosocial" sub-study. The study, which began in 1994, included a nationally representative cohort of 657 men aged 25-64 from Russia, all of whom had no history of diabetes, stroke or heart attack. At study baseline, researchers used the Jenkins Sleep Scale to identify sleep frequency and any sleep difficulties among participants. Men whose ratings fell into the categories of "poor," "bad" or "very bad" were considered to have a sleeping disorder. The team assessed incidence of heart attack and stroke among the participants over the next 14 years. Compared with men who did not have a sleeping disorder, those who did were found to be at 2-2.6 times greater risk of heart attack and 1.5-4 times higher risk of stroke. Among men with sleeping disorders, the risk of stroke and heart attack was highest among those who were widowed or divorced, those who had professions that involved heavy to medium manual labor and those who had not completed high school. "Sleep is not a trivial issue. In our study it was associated with double the risk of a heart attack and up to four times the risk of stroke. Poor sleep should be considered a modifiable risk factor for cardiovascular disease along with smoking, lack of exercise and poor diet. Guidelines should add sleep as a risk factor to recommendations for preventing cardiovascular disease." According to the National Sleep Foundation, adults aged 18-64 should get around 7-9 hours sleep each night, while those aged 65 and older should aim for 7-8 hours sleep each night. Prof. Gafarov says individuals who are not getting enough sleep should talk to their doctor, pointing out that not only could poor sleep raise the risk of heart attack and stroke, but previous studies from the team have linked it to greater risk of hostility, depression and anxiety. Getting More Exercise May Prevent Depression.